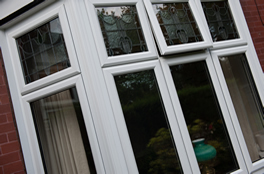 Exe Windows Doors and Conservatories of Exmouth only use the best products, that's why we use Liniar Windows. 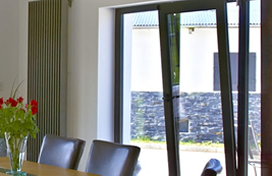 Liniar PVCu windows are the most technically advanced in the market. Designed from scratch to meet the highest possible energy rating standards (WER ‘A’ rated), they are completely lead-free and fully recyclable. Liniar windows are amongst the most secure that money can buy with a police-backed Secured by Design Program. Liniar offer a wide range of colours the most popular being Light Oak, Irish Oak, Rosewood, Cream and White. They have a more bespoke range which offer the colours Grey, Black and Chartwell Green. 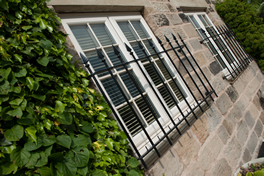 There is a Linar window to suit any home from the Townhouse to a Traditional Farmhouse. 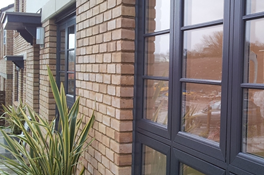 The Tilt and Turn Window offers a greater scope for a larger opening giving you more ventilation than a traditional casement window but keeping the security and the larger panes of glass help its thermal performance. Casement windows have remained very popular over the years with their elegant looks and pleasing energy efficient attributes. A leading home improvement option boasting great security features and colour options. French windows may suit your property over any other style and with the wide range of colours and added practical purpose of being a great fire escape you'll be sure to love the new edition to your home.